Global Herbs FlyFree is an incredibly effective feed supplement to combat fly problems and soothe the horses skin. FlyFree uses plant extracts that are digested by the horse and then pass through the skin to create a protective barrier around the horse that lasts all day and improves your horse's overall comfort. Global Herbs FlyFree supplement eliminates the need for sprays and chemicals to protect from flies, improving your horse's skin condition and reducing the chances of ingesting chemicals whilst horses are grooming each other. Global Herbs FlyFree also helps to improve your horse's general skin condition, soothing affected skin and helping to reduce itching. FlyFree encourages clear breathing and soothes the membranes around the nose and eyes to increase comfort and eliminate runny eyes. Many customers who regularly use FlyFree say they not only see an improvement in the comfort of their horse but also see a general gleam coming from their coat. 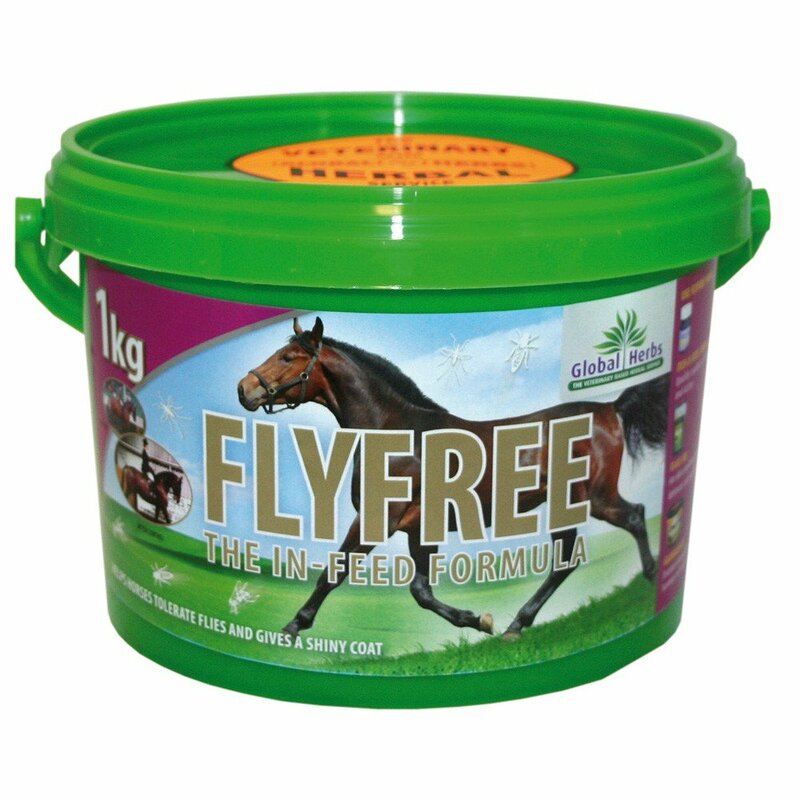 FlyFree has a strong taste and should therefore be introduced gradually into your horse's feed. It can help to feed FlyFree alongside Flax Oil which improves skin condition and helps to relieve early signs of itchy skin.